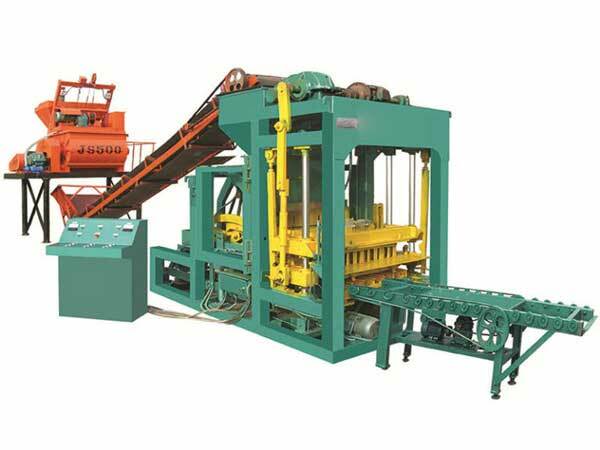 Fully automatic fly ash brick making machine is the special equipment, which uses cement, fly ash, lime and other materials to produce fly ash bricks. The machine has the advantages of high automatic degree and high efficiency, and it is very suitable for the large and medium-sized projects. 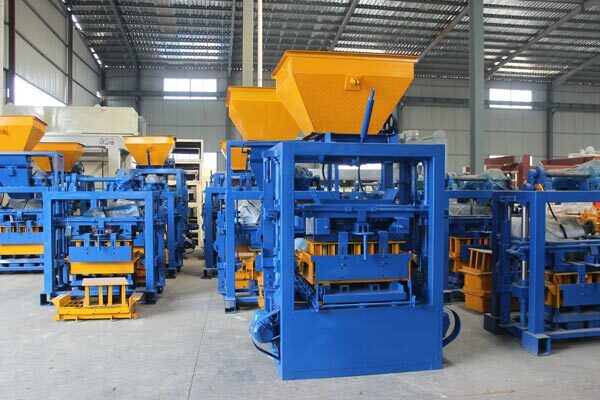 If you purchase an automatic fly ash brick machine, it will produce good-quality bricks and save cost for you. It is indeed a high-return and low-cost investment! 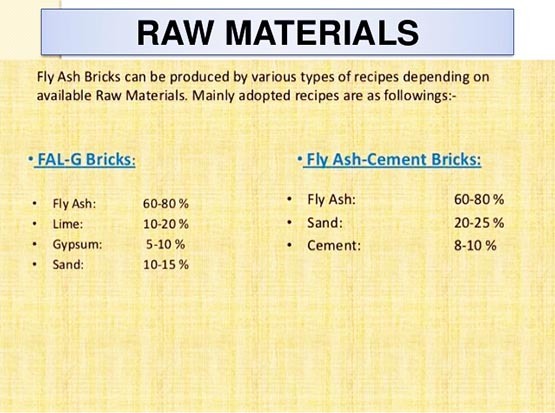 In addition, raw material-fly ash doesn’t cost much, save raw materials cost and labor cost, of course, it will save a lot of cost in the whole process of brick production. Good news here! 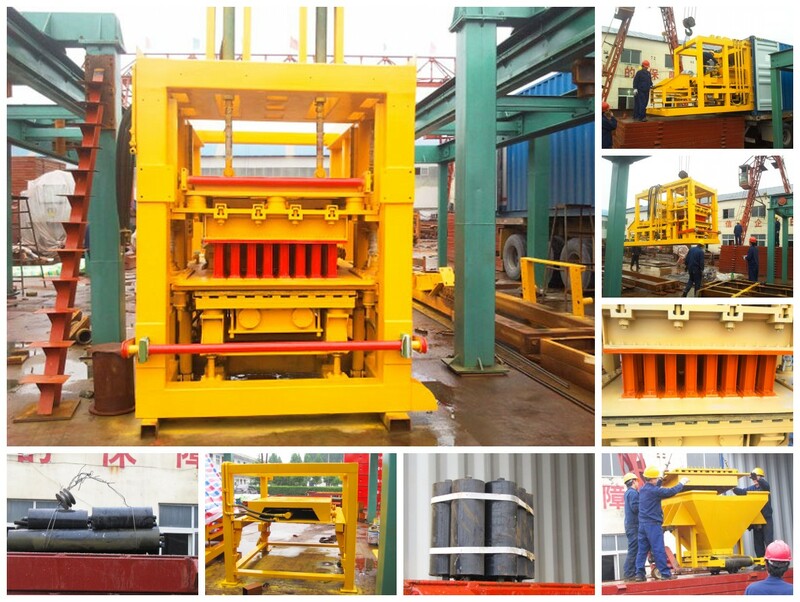 Congratulations our QT8-15 fully automatic fly ash brick making machine was ready to Dominica. 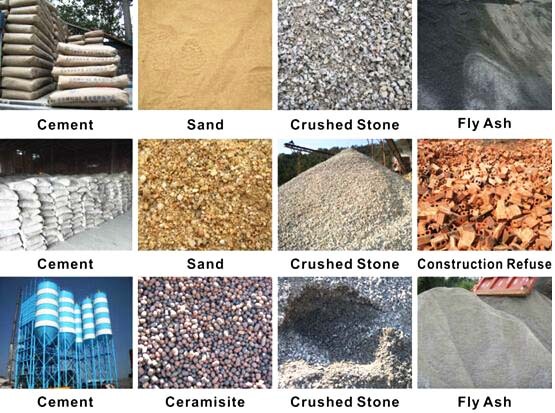 our customer planned to use it to produce a large quantity of fly ash bricks for commercial use. No matter you want to use it for yourself, or business, QT8-15 can meet your demands, for it has characteristics of stable performance, high productivity and low cost, particularly labor cost, because it is with PLC control system. Customer from Pakistan wanted to build another new residential area, so he invest our fly ash brick machine, he is a real estate developer, he found house is a big commercial chance, so he would like to seize the chance and get high profits, it is no doubt a right choice! Because QT12-15 is equipped with JS750 twin shaft concrete mixer, it can achieve high productivity and high quality of products. 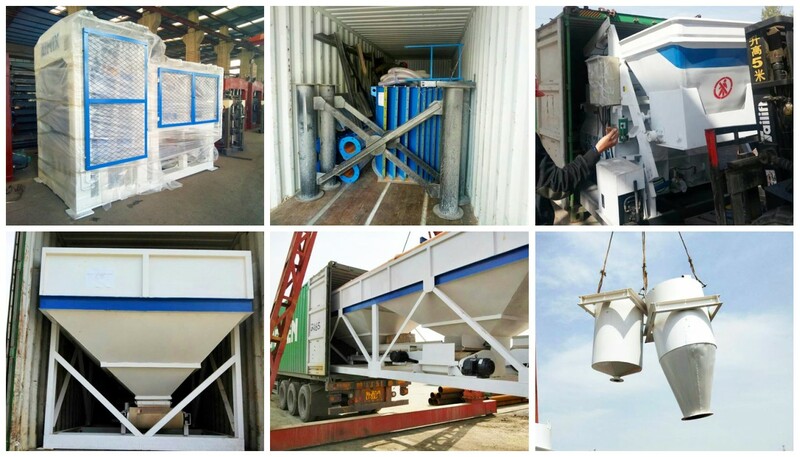 Nowadays, the fully automatic fly ash machine becomes popular at home and abroad. There are several reasons to account for the popularity of the machine. The machine turns the waste into wealth. The coal is one of the most important energies in the world and it will release fly ash to occupy the land and pollute the environment after burning. 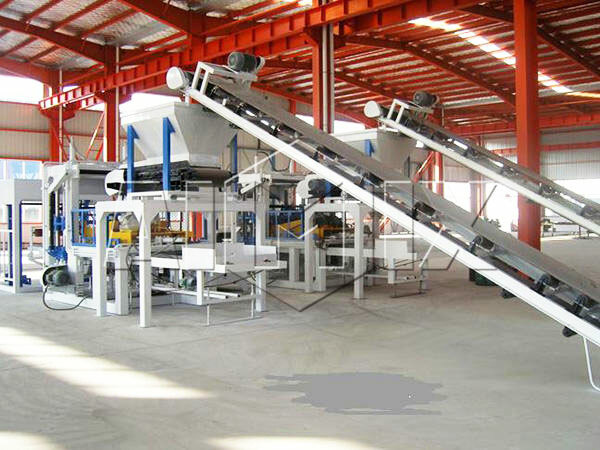 However, the machine reuses the fly ash to produce the burning-free bricks, which reduces environmental pollution and manufactures the ideal wall materials. The high-quality of the productions. 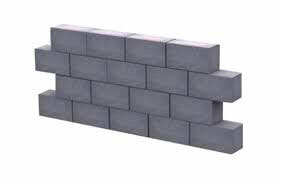 As a new type of wall material, the fly ash brick is made from the cement, fly ash, lime, gypsum and air-entraining agent, which has the advantages of light weight, thermal insulation, heat preservation. 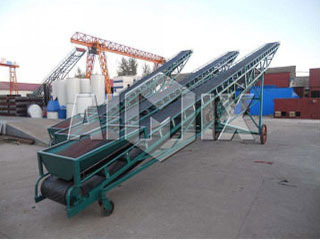 When producing fly ash bricks, the low investments are needed, and the users will enjoy the easy operation. 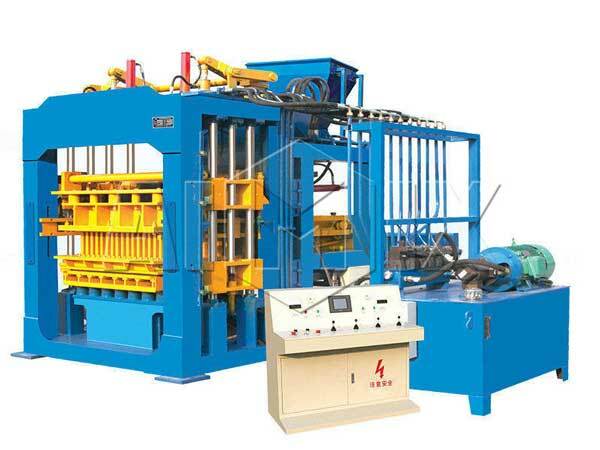 The fully automatic block making machine has high automatic degree for it adopts PLC control system. During operation, six to seven operators will meet the demands. The fully automatic fly ash brick plant is equipped with touch screen and self-diagnosis system. The operators will control the machine by the screen and acquire the information displayed on the screen. The self-diagnosis system enables the machine to diagnose the productive process automatically. Then the faults and solutions will be displayed on the screen, and the operator can deal with the problem according to the guidance. The machine can finish most processes automatically. For example, the distributor adopts the new technology and has original structure. When the materials are conveyed to the distributor, the distributor will feed them into the mold box compulsorily and evenly. When forming the bricks, the main motor drives the transmission parts to run, and the V-belt has the function of slowing the speed. The pinion is connected with the large gear, so that the running transmission parts drive the crankshaft to rotate. And then the connecting rod, pressure lever and the plug rod enable the piston to go up and down, which matches with the mold, so that the bricks are formed. 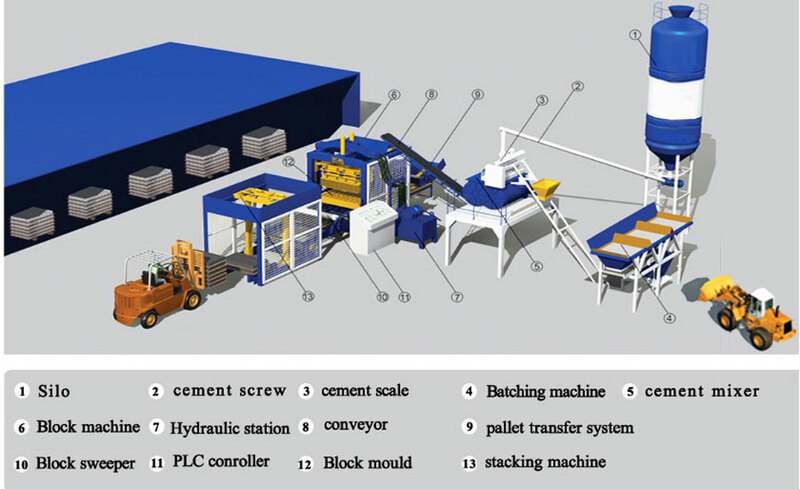 Fully automatic fly ash brick making machine mainly uses fly ash to produce hollow blocks, perforated bricks and standard blocks, through 13 components and produce finished blocks, 13 procedures mainly are: cement silos, cement screw, cement scale, aggregate batching machine, concrete mixer machine, block machine, hydraulic station, conveyor, pallet transfer system, block sweeper, PLC control system, block moulding machine and stackiing machine. The production line of brick making machine is composed of mixer, transmission device, burning-free brick making machine, and stacking machine. Mixer: the mixer is the professional machine to blend the materials. 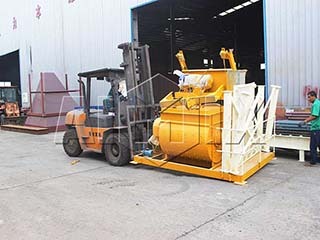 The mixing shaft rotates in the mixing tube and the blades cut, squeeze and scatter the materials, so that the materials are mixed to meet the requirements of forming. The compulsory mixers are often used in the production line due to the compulsory mixing and high efficiency. Only when the materials are modest and even, will the bricks have good quality. Transmission device: the transmission device plays the role of automatic feeding in the production line. It can greatly improve the working efficiency and save the time of distributing the materials. The belt transmission is the most commonly used device, because it has the advantages of large conveying capacity and high speed of transmission. 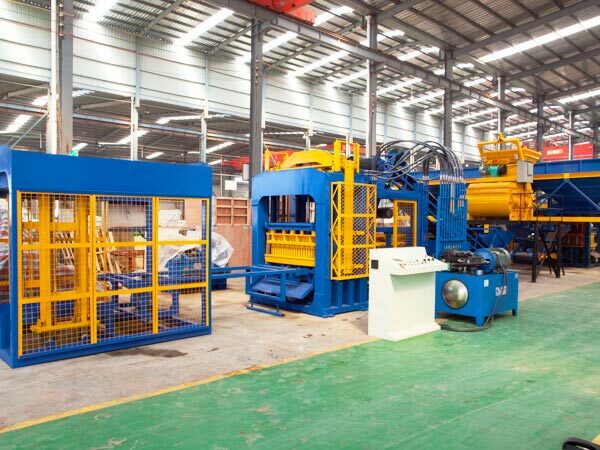 The burning-free brick making machine: the burning-free fly ash brick manufacturing plant is a new type of equipment, which can produce the new type of wall material. 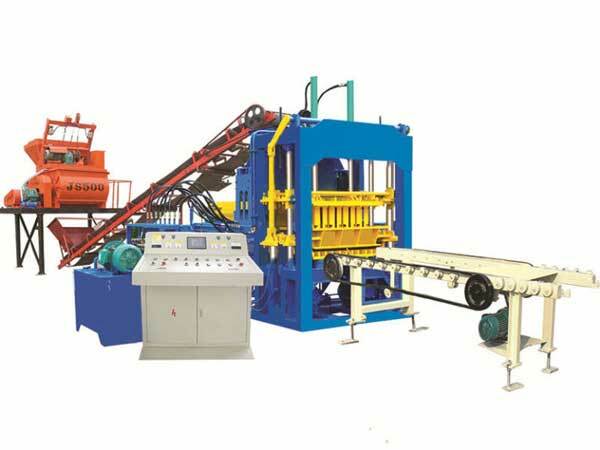 Generally, the automatic fly ash brick making machines are the fully automatic hydraulic fly ash brick making machine. The machines adopts PLC control system, and it produces bricks with hydraulic pressure and without burning. After air drying for several days, the bricks can be used directly. Speaking of the design, the feeder of the machine adopts the advanced technology, and it has the features of smooth running, accurate feeding and low rate of maintenance. 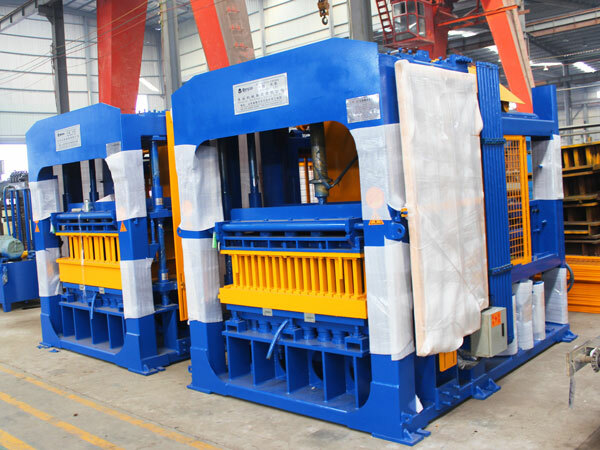 Stacking machine: as a new high-tech automatic production equipment, it plays an important role in improving the working efficiency and labor condition. The automatic stacking machine makes the production line more automatic, and it has the characteristics of easy operation, large output and long service life. 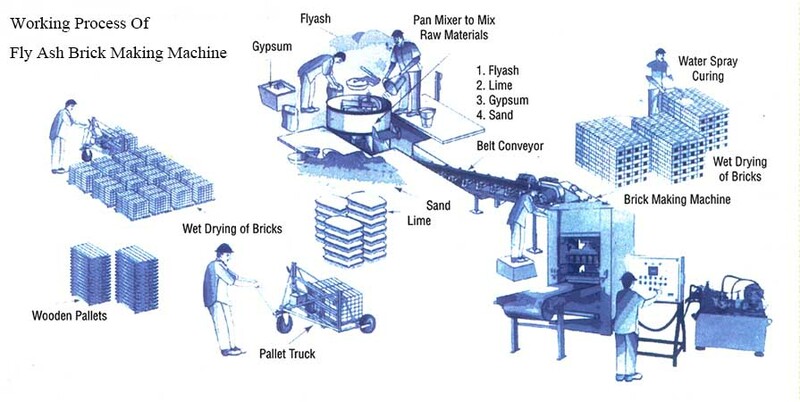 The automatic fly ash machine can produce different bricks. When the operator feeds different materials, the machine will produce different blocks, such as cement blocks, concrete blocks, etc. 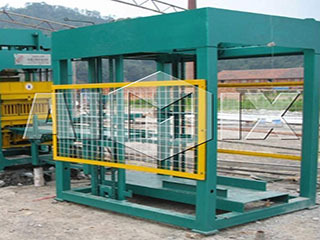 Moreover, the operators can replace the mold, so that the machine will produce the bricks with different sizes and shapes. The automatic hydraulic fly ash brick making machine price is lower than its value due to the multifunction. There are many automatic fly ash brick making machine manufactures and suppliers on the market, and the customers have many choices. 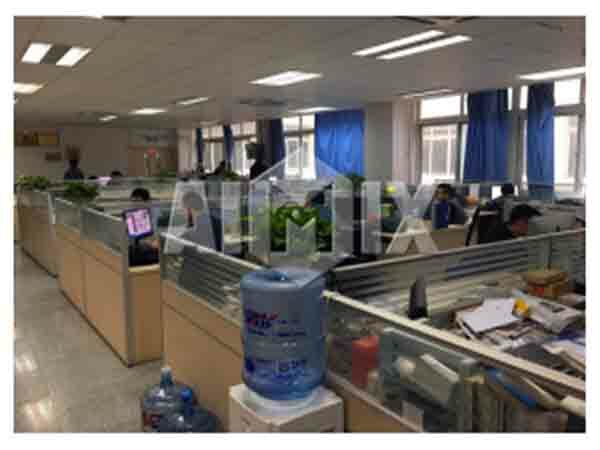 But we are confident that Aimix is one of the most reliable manufactures and suppliers because of the high-quality machines and first-class service. We believe that the good machines ensure the smooth operation. We make efforts to improve the quality of the machine by improving the technology, so that the fully automatic fly ash brick making machine price is proper though the machine has high performance. 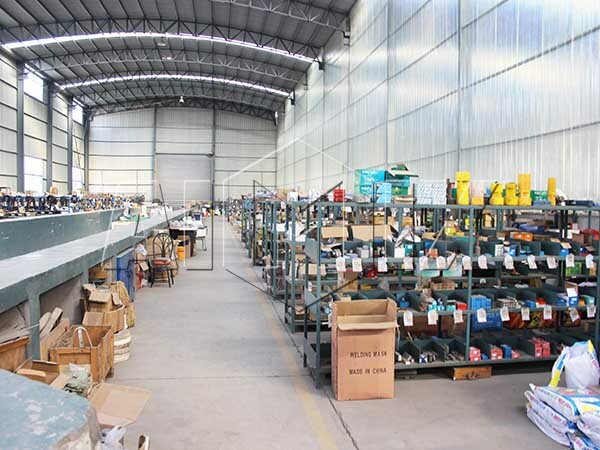 Each machine made in our company must pass the strict inspection before it leaves the factory, which guarantees that all of the machines have good quality. We believe that the good service enables the customers to use the machines without worry. How to install the machine? How to use the machine? How to maintain the machine? Many customers are so confused. If you get a machine from Aimix, you will find that it is easy to install, use and maintain. We can help the customers to install the machine and train the operators. If the customers need help, we will provide the immediate assistance for the customers. Many foreign customers have purchased the machines from our company, and they come from Uzbekistan, Australia, Russia. And we have cooperated with some of customers more than once. The high-performance machines and the perfect service enable us to become cooperative partners of mutual trust. 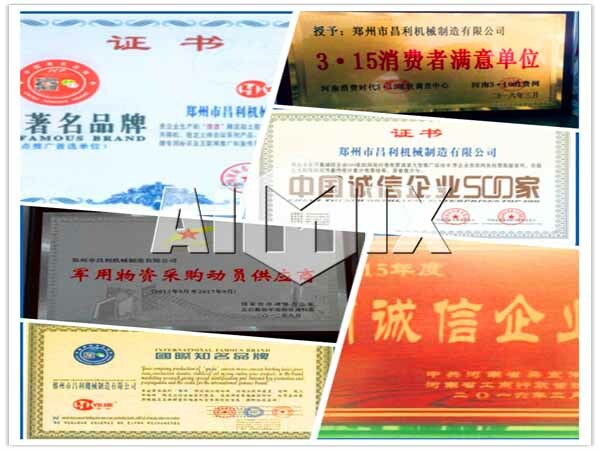 Aimix is one of the reputable automatic brick making machine manufacturers, and the fully automatic fly ash brick making machine is one of the productions. If you would like to get a fly ash brick making machine, please leave your message or contact us, we will provide the best production for you.